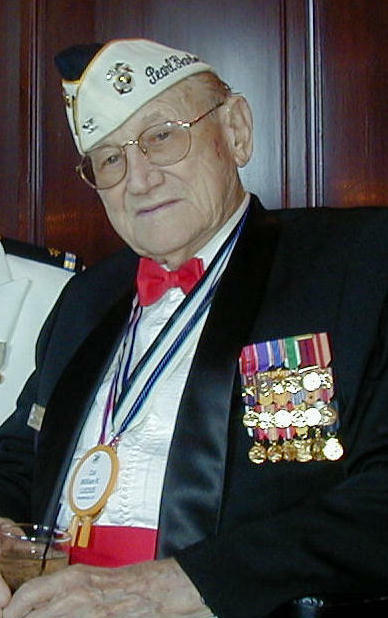 Lucius at the 62nd BOM anniversary commemoration in San Francisco, 2004. William Lucius was the supply officer for Marine Air Group 22 on Midway during the battle. He was one of several BOM Marine vets brought to the Roundtable by Walter Grist. Lucius had a very narrow escape during the Japanese attack on the atoll, as related on pages 98 and 104 in Walter Lord’s Incredible Victory. He had a 24 year career in the Corps, serving in every rank from private to lieutenant colonel.